The CTS works with investors to package the best combination of funding sources for companies. The CTS offers a complete program of services and strategic support including financial support up to $500,000.00 per year for two years. The CTS seeks partners who can provide funding or in-kind services and support to help it provide a high level of service to its enterprises. This is the right time for the Desjardins-Innovatech investment and the CTS support because they reinforce our ambitious internationals projects commercialisation for our medical's field tools. The CTS program allow us to improve our founding round by contributing directly to our products commercialisation's acceleration, adding concrete objectives and key support to rise our company's valorisation. 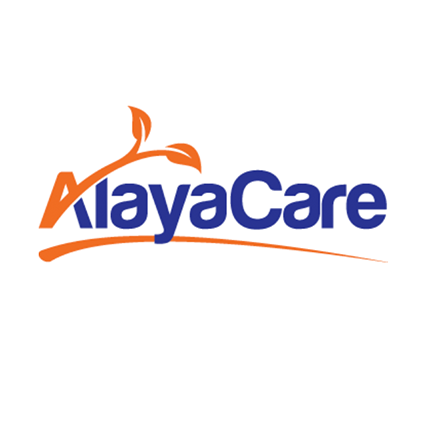 Alayacare is excited to be part of the CTS ecosystem. As a software provider serving the home healthcare market, we are continuously integrating innovative monitoring and point of care hardware into our ecosystem. We believe that our fellow CTS portfolio companies will be a rich source of innovation for our consumers, and at the same time we believe our platform can be an interesting path to market into the community care sector for medical device innovators. Imeka had the CTS support in order to be found by majors partners. The CTS people has been remarkably effective which have allowed us to quickly complete the founding round. Their healthcare knowledge have been useful to convince others investors for our project. This relation will continue for years and I'm sure that will also bring good opportunities for Imeka. Montreal has all the tools to be a leader in medical innovation. We have one of the largest population of students in North-America and one of the best medical schools in the world. As a scientist-entrepreneur and founder of a medical devices startup I am very happy to count with the support from CTS Santé. The dedication and expertise of CTS Santé's team was essential for us to raise the first investment round and to solidify partnerships in the industry. For the first time our products offer to the clinicians a non-invasive aces to deep digestives organs to apply radio-frequency treatments. With the CTS Sante’s help, we keep going efficiently our objective which is to improve the therapeutic arsenal to fight against biliary tract and pancreas terrible cancers. We are very pleased with the support of Desjardins-Innovatech and the CTS in our founding. The assembly allows Emovi to position itself for its next steps in marketing its technology of evaluation of the knee. The CTS program made me review my entire strategy. From the beginning of the process, they worked closely with me to guide me on the content of a presentation of investors. After each presentation in this round of funding, I was personnally congratulated by the Evaluation Committee for the clarity and effectiveness of my presentation. Some even asked me who had prepared me for the presentations. The experience of Yvan and Romain allowed me to send the funding round greatly. Frédérik MarcilCEO & Founder, Kube Innovation Inc. The strategic advice given by the CTS team made it possible to seriously correct the trajectory in view of the expectation of our corporate objectives. The expertise of the CTS team make them leaders, since they allow others to grow. Once our project is fully realized, many persons will benefit from the existence of the CTS Santé without knowing it. I think the worst enemy of the entrepreneur is complacency. It certainly can not accuse Yvan and Romain from this scourge which delays the death of a project that has no future. Their involvement in the details speaks volumes about their passion, which sometimes seems to exceed ours, Bravo ! Thanks to the CTS and Desjardins-Innovatech, we are able to begin our marketing plan in the United States with representatives dedicated to the sale of the Frequencer, an acoustic airway clearance device. We are pleased to be part of this group of companies supported by the CTS. CTS Health was a key player in the success of our financing round. The extensive expertise of CTS in supporting marketing of medical devices is reflected at all levels of the organization, the direction to the board. We are proud to form this partnership with them to the international expansion of Thorasys. Desjardins-Innovatech's investment and support of the CTS come at the right time to support our ambitious plans to commercialize our devices in European and North American hospitals. We are pleased to be part of the CTS ecosphere. The CTS is an Accelerator operating as a nonprofit organization, in partnership with Desjardins Capital and with strategic sponsors from the private sector supporting its structure. While the CTS provides mentoring and strategic support for business plan execution, sponsors are the only parties taking an interest in the selected medical technology enterprises. This unique set-up, built upon mentors willing to give back to the quebec ecosystem, provides an effective framework for start-up to confidently increase their chances of success.